Mention the name Paolo Rossi to football fans and immediately the conversation will focus on his exploits at the 1982 World Cup. Rossi's tournament leading six goals led Italy to their first world championship in forty-four years, and the man from Prato was lauded as a national hero. In particular, his memorable hat trick in a 3-2 defeat of a brilliant Brazilian side is rightly considered one of the greatest individual performances in a World Cup finals match. Lost in the sands of time though is the fact that Rossi being at the World Cup at all that summer was rather controversial. In the years preceding the tournament, Rossi was a key player at the centre of one of Italian football's most notorious scandals and his story goes a little beyond his accomplishments in Spain '82. Playing for Perugia in 1979-1980, Rossi bagged 13 goals in Serie A while helping the club to 9th place in the league and also seeing them through to the last 16 in the UEFA Cup. All was not well in Italian football though and a scandal was about to burst Perugia and the league's bubble. 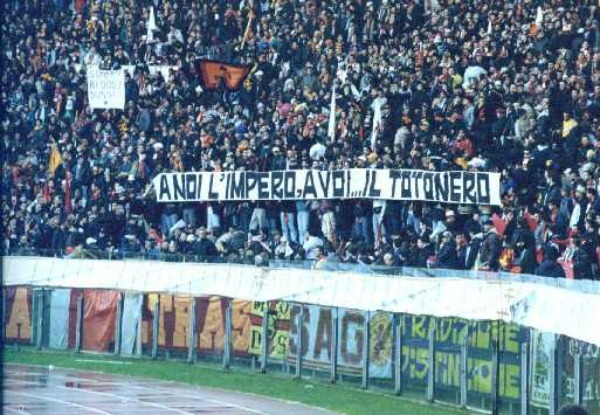 On 23 March 1980 the Guardia di Finanza announced that they had received information from two Roman shopkeepers that several Italian players were openly asking for money to throw matches. 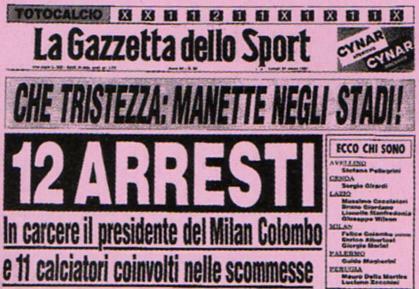 Dubbed by the press as the Totonero affair, named after the term for illegal gambling schemes in Italy, the scandal went deeper than the fans initially feared. The Guardia di Finanza eventually uncovered a betting syndicate that had attempted to influence numerous matches in Serie A and B. From Serie A the club's found to be among the primary protagonists were AC Milan, Lazio, Perugia, Bologna, Napoli and Avellino. While in Serie B, the only two clubs the authorities were able to pin anything on was Taranto and Palermo. There were mass arrests as a result, with several players including Rossi handed multi-year bans from football. As for the club's themselves, Milan and Lazio were handed the harshest punishments as they were relegated to Serie B. Perugia, Bologna, Napoli, Avellino, Taranto and Palermo were given five point penalties for their part in the scandal. 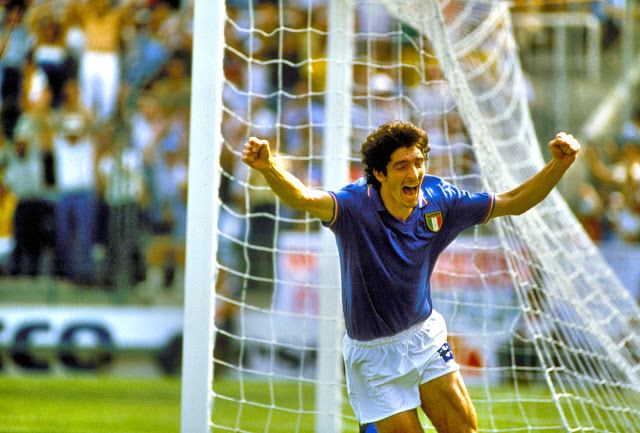 Rossi, who was handed a three-year ban for his role in Totonero, later had his suspension cut short by 12 months so he could join up with Italy at the 1982 World Cup and the rest, as they say, is history.